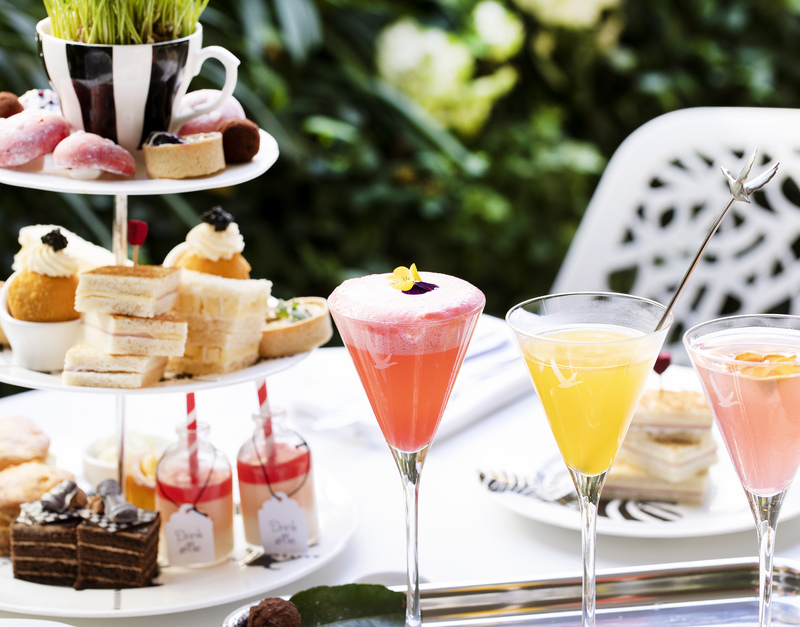 The seasons are changing and that can mean only one thing: Mad Hatter's Tipsy Evening Tea is getting a seasonal twist. Start with savoury bites such as Smoked Salmon Scotch Egg and the Craxton Manor Brie and Parmesan Sandwich before indulging in the alcohol-infused cakes. Adding a seasonal spin to our teatime treats, enjoy Grey Goose Cherry Noir Vodka and Cranberry Tartlets alongside Aged Rum and Dried Fruits Truffle, amongst many more new additions to tempt your sweet tooth. Teamed with our afternoon tea, sit and sip on our Cocktail Flight - a trio of drinks made up of our Passion Fruit Bellini, Pear Cosmo and Like A Flamingo In A Flock Of Grey Goose, whilst taking in the beautiful surroundings of our lush open-air oasis in the Courtyard Garden. In this wonderland for grown ups, even Alice might be out of her depth. Now all that’s left to do is book. Call Restaurant Reservations on 020 7300 5588 or drop us a line at restaurant.resuk@sbe.com. 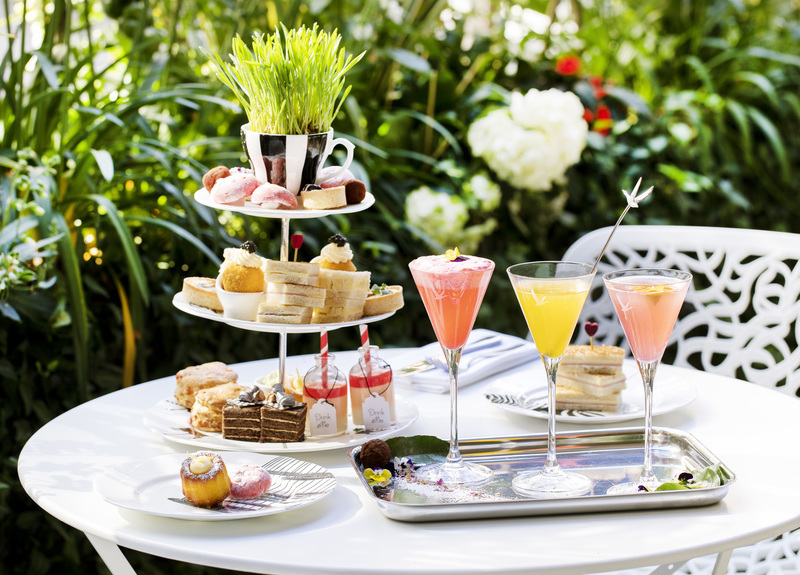 Mad Hatters Tipsy Evening Tea is served daily and is priced at £58 per person.